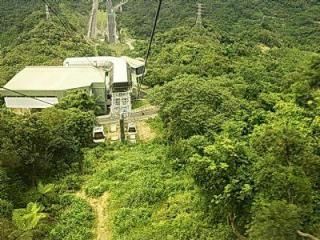 (Taipei) Explore Beauties of Maokong with Maokong Gondola! Taiwan Night Markets has always played an important role in the Taiwanese culture. The night markets are where foreign travelers and local residents savor the special local snacks and enjoy folk games as well as purchase souvenirs and fashionable clothing. To promote this special feature of Taiwan, the Tourism Bureau of Taiwan launched a campaign in Aug, 2010 involving an online poll to vote for the cleanest, friendliest, tastiest, most attractive and best for shopping Taiwan Night Markets and also a distribution of 100,000 free night market brochures to foreign individual travelers including free night market vouchers for them to taste and experience the lively Taiwan night market culture. Two twd 50 food vouchers are given out to each traveler to taste specialties at any of the five selected popular night markets, Keelung Night Market, Taipei Shilin Night Market, Taichung Feng Chia Night Market, Kaohsiung Liouhe Night Market and Yilan Luodong Night Market. Wondering where the free night market vouchers are? Travelers may now visit the nearest Taipei Representative Office in their country for more information. You may also find more information on Taiwan popular night markets at Sinotour Taiwan Night Market Tourism. Book a Taiwan hotel nearby night market and enjoy a wonderful Taiwan night market travel!